Nestled in the lush forested foothills of the Ozark Mountains is a beautiful, friendly, caring retirement community we call Missionary Acres. 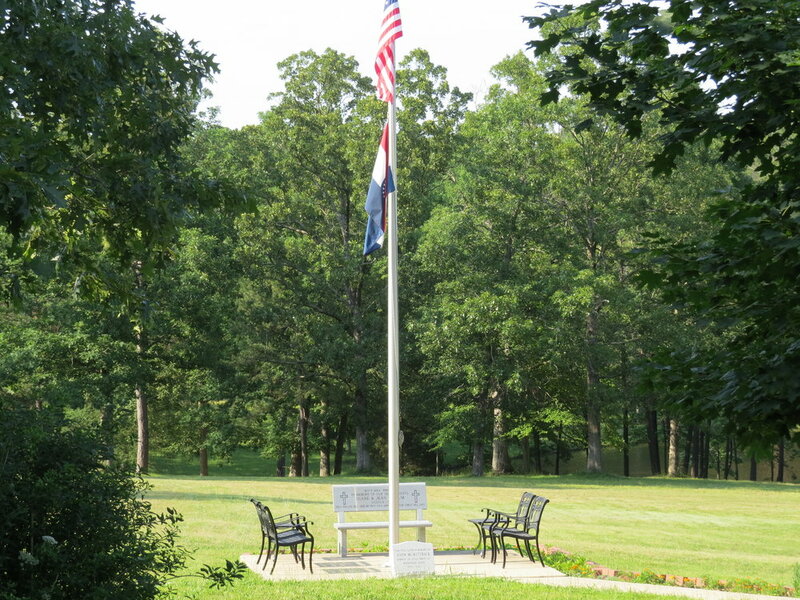 Located in Wayne County, Missouri, Missionary Acres is a place where those who have faithfully served the Lord Jesus Christ can enjoy their retirement years and continue to serve their Savior. Missionary Acres is a place of beauty and independent living, coupled with the Fellowship of a Family. The concept for such a place was born in the heart of a caring pastor named Charles Emerson. Brother Emerson and his family purchased 63 acres of property, built a chapel, established a ministry among the local residents and called this special place: "Missionary Acres". Due to advancing age and health problems, Brother Emerson graciously donated the property to Baptist Mid-Missions in 1962. Baptist Mid-Missions shared Brother Emerson's idea to establish a retirement center for independent Baptist Missionaries. The idea was to develop a place where inexpensive housing could be provided for missionary retirees. The ministry still bares the name that brother Emerson gave it so long ago: Missionary Acres. Although southeastern Missouri may seem far removed from essential services, Missionary Acres is actually located near the geographical center of the United States. An ever improving highway system provides easy access to stores, banks, restaurants, hospitals and recreational areas. U.S. Route 67, which lies just 31/2 miles west of Missionary Acres, is in the process of being developed into a 4 lane divided highway. When this is complete in 2012, U.S. Route 67 will be a major north/south route! Southeast Missouri has less congestion, noise, pollution and crime than most areas of the United States. Missionary Acres embodies these qualities. Missionary Acres is a place of clean air and water. A central well provides the residents with an ample supply of pure drinking water. Our well was voted "the Best Tasting Drinking Water" in the State of Missouri by a panel of judges during a contest sponsored by the Missouri Rural Water Association in 2005! Some even call it the "Fountain of Youth"! The cost of living is less in Southeast Missouri than in most parts of the country. The goal of Missionary Acres is to provide quality housing that is affordable enough for retirees who are living on very minimal finances. This is possible because the staff of Missionary Acres are all supported by churches and individuals so that they might be able to serve the Lord in this special way. New residents may choose an existing house or a new home site. A person, building a new home at the Acres, only pays for the materials needed to build the house. They then have a life lease on the home. Missionary Acres is a tax-exempt ministry. We are not presently assessed any sales or property taxes. The residents of Missionary Acres enjoy complete freedom to come and go as they please. You may travel and know that when you return, your home will be there in the same way you left it. Our residents also enjoy the fellowship of a family. What a blessing to be surrounded by dear folks who have served the Lord faithfully their entire lives! The Resident Administrator and his wife plan about 20 activities a year for the residents so there are plenty of opportunities for fellowship. Don't take our word for how great this place is! Come see for yourself!! !